Houzz 41 of our visitors have told a friend about this plan. 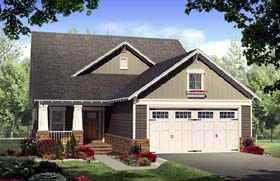 Answer: Hello, Most of our front entry garage plans could be easily changed to be side entry. This plan could have the garage door on the right side of garage. If you are talking a "courtyard entry" type garage, where the garage door would be on the left side of garage in this plan, the garage would need to be extended to the front to make enough clearance for the courtyard type. 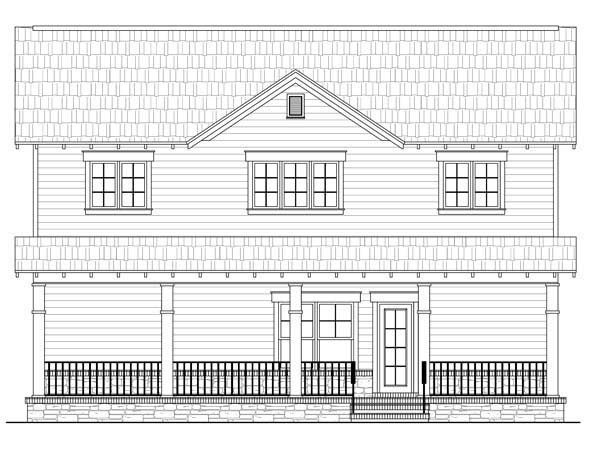 An example of "courtyard entry" is plan 59132. If you find a plan that has everything you want, except the garage entry point, that can be changed onsite by the builder, or we can modify the plans for an extra fee. Just submit a modification list of the changes you want, and the plan number, and we will provide a quote. Thanks. Answer: Good morning, The ceiling heights are labeled on the floor plan for most rooms. The first floor is 9 foot, the second floor is 8 foot tall. Have a great day and God bless!